Dunclutha Street taken from the junction of Woddrop Street. "What an absolutely fantastic website. Since discovering it fairly recently, I can hardly stay away, what with old (and new) photographs, guestbook entries etc I have been swamped with waves of nostalgia. It is a long long time since I have been home. The best part of the first 22 years of my life would have been spent predominantly around Brigton. 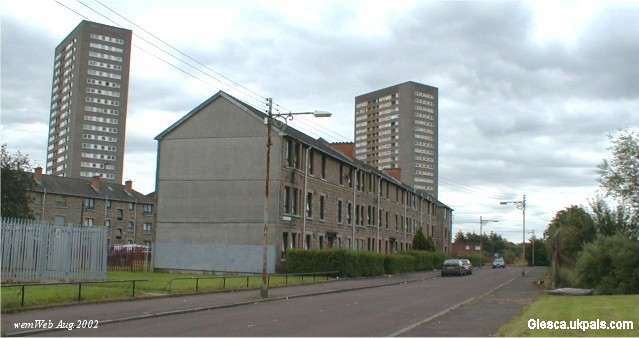 Initially in Mckeith St until the age of 4 or 5, then to Dunclutha Street near Dalmarnock Power station. The really sad thing for me is that most of the major landmarks of my early life have gone. 1. The original Springfield primary school, gone. 2. Riverside Secondary school, gone. 3. William Wilkie in Fordneuk St where I served my apprenticeship, gone. Maybe I’m jinxed, because even though most of Dunclutha St is still standing, would you believe that my close has apparently been demolished due to subsidence!" WEBMAISTER .... Graham, Dalmarnock Power Station has long gone also!! I'd be interested to hear from you....now that you can see your old street.........has your close been demolished? "Sorry it has taken so long to respond to you re demolition my close.....yes it has been demolished! .......... the lamposts shown were often used as goalposts when we couldna play fitba roon the back because somebody had hung their washin. This was always a bit of a gamble as the wummin in the prefab on the opposite side o the street wid confiscate oor ba in it went intae her gairden. Thanks again Webmaister, and keep up the good work." Extract from e-mail August 2002, Margaret Dunlop (nee McEwan), Edmonton, Canada. 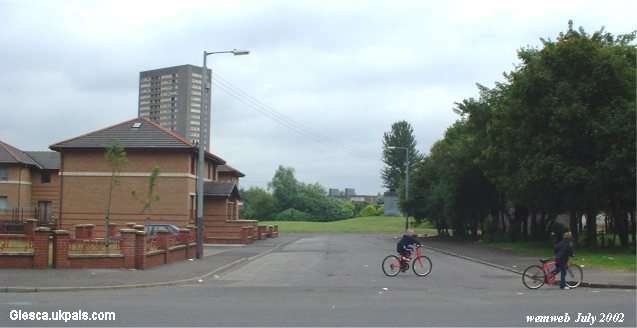 ".....I miss Dalmarnock very much. Found my old friend Jackie Weir on your site, and an old neighbour Graham Hutchison, I lived at #25 Dunclutha St, Jackie Weir and Graham Hutchison lived at #15. 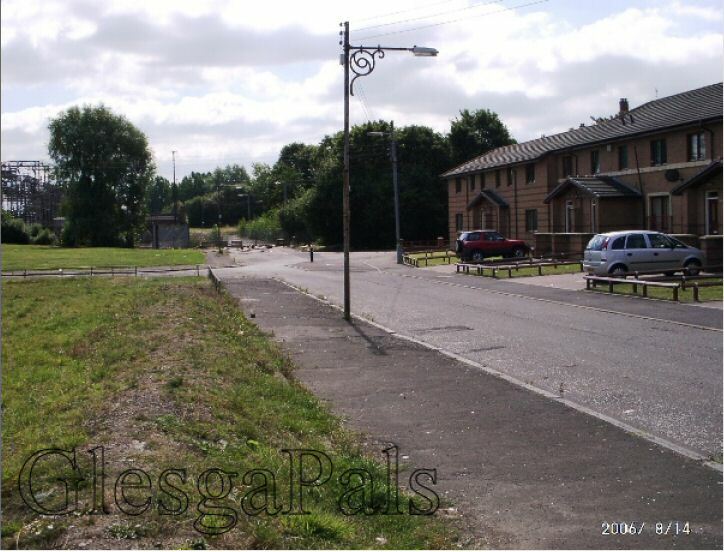 Thanks for the picture of Dunlcutha Street, it brought back a lot of good memories. My mother lived there for over 30 years before moving to Nairn......"